Sewing weights are an easy way to make quick work of pattern cutting. This easy pattern is a great way to clean out your scrap basket. 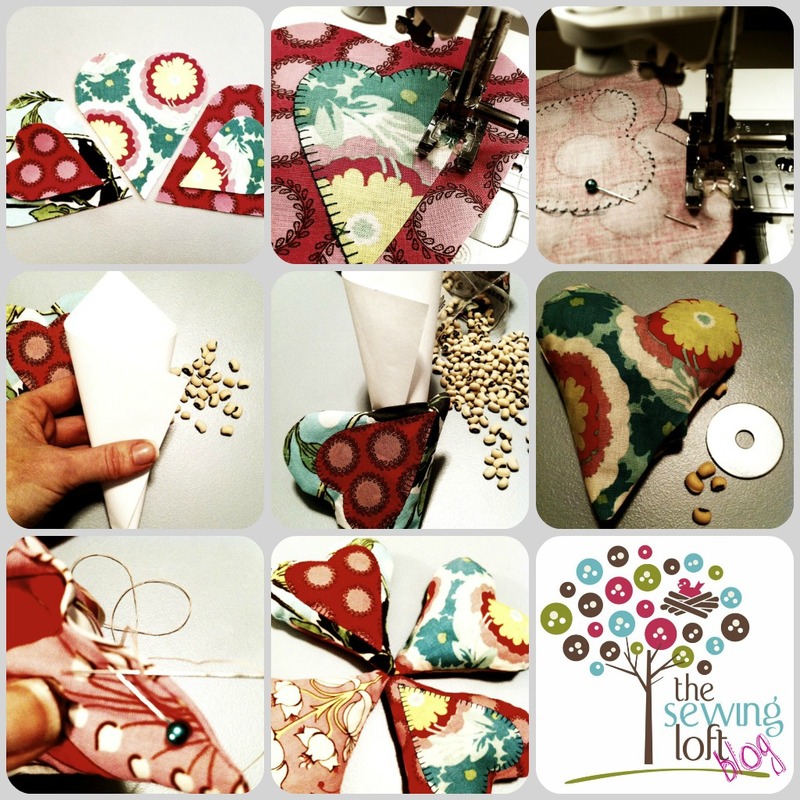 Put those pins away and try these sewing weights when making your next project! Any shape will work for this project. But since it is Valentine’s Day, click here are some fun hearts. 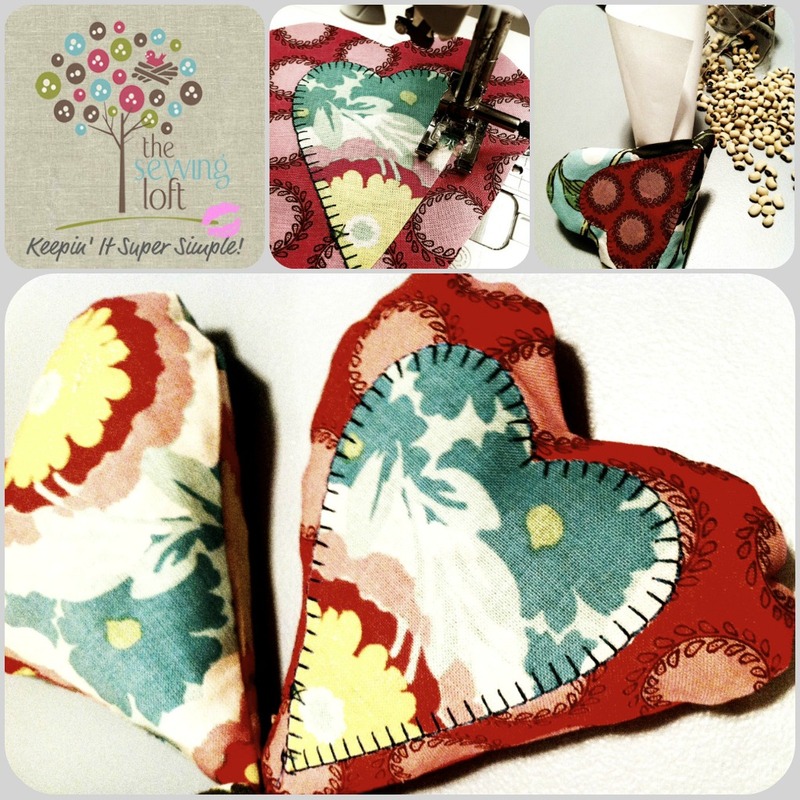 Cut two large hearts from fabric. For interest, I added a smaller heart applique to the center. Click here for the fabric applique tutorial. Once applique is applied to heart, I added a decorative blanket stitch all around for interest. Any type of stitching is fine here, even zig zag. Align front and back together with right sides facing each other, pin in place. Remember that these pieces are small and tend to shift in sewing if not pinned together. Using 1/4″ seam allowance, start just above the point on a straight section, single needle top stitch. Stitch all around leaving about 1 1/4″ opening. *Be sure to back stitch at start and stop. Clip point and all around curved areas. Turn hearts right side out and press. A word to the wise here, pressing is important! Very important. Not only does it “lock” your stitches in place but if you press your seam allowance under in the “open” area, your hand stitching will be much easier. To fill the hearts, make a paper cone from the bottom scrap of paper heart pattern. Insert into opening and fill with peas. I tend to overfill, I like the hearts to be fat. Be sure to slip in a few washers for added weight. Slip stitch the open section closed and you are all set! I love them and can not wait to use them on my next big project! 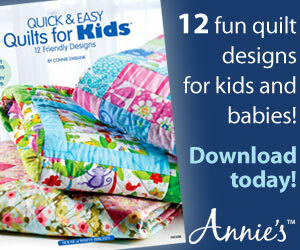 Would you like to more projects and patterns to clean out your scrap basket? Here are 30 more scrap busting projects for you. I use plain old heavy bolts from the Hardware store. You can get them in a variety of sizes and weight you need. A variety is alway good. These weights are especially usefull when cutting material that you cannot use pins on. I use large and medium flat metal washers from the hardware store. The advantage is that you can lay your long ruler down on top of them and you can get a very accurate cut with no shifting of the ruler. The sewn ones are cute, but not really practical. Great idea, must have a go! This is great!! Stopping by from Its So Very Cheri linky party. Following you on FB. Super cute!! You could use these hearts for many purposes – they are so adorable they should be somewhere on display when you are not using them! Definitely pinning this! Cheryl, your photos are amazing! I just love the moss on the tree and those Poppy’s (one of my fave flowers)- just wonderful!! Tammy, I know.. pinning is my least favorite part of sewing. This is so much easier having fabric slide around while trying to cut. Thanks for sharing! I need to make these TODAY!!! 🙂 Glad to have you at Things I’ve Done Thursday! What a great idea! I have weights that I bought 10 plus years ago, but they are not cute like these. I’m putting this on my “to sew” list! Thank you for sharing your lovely artwork at Potpourri Friday! Such a fantastic idea and so cute! Just pinned for when I learn how to sew! Thanks so much for sharing at Taking A Timeout Thursday! Thanks for the pin Trish! Must show these to my students “Lou Ann’s Sewing Room” They love the “big” nuts I bought at a hardware supply store, but I think they will like these better and they can design their own. My Mother-in-law, Sabina, used table knives for weights. I think these would make her smile. I use fishing weights! Years ago I bought ‘sewing weights’ and they did not come cheap. Somehow in a move I lost them and rather than pay that price again I bought fishing weights. Not as pretty as yours but they certainly work for me. What a great idea! I’ve never heard of them before, but now I can see how much easier pattern cutting would be using these! I shall definitely be making some, thank you! I’ve had sewing weights for years, but my first ones were made by my now ex-husband. He worked in a machine shop and used some very heavy condensed aluminum and cut out rounds, some small and some large. I never had to worry about them rusting! I have lost quite a few through the years so have made fabric weights like this, but I use the very cheap and clean play sand you can buy at any big box or hardware store. They aren’t bulky and bumpy but just right in heaviness. I do love your idea here…takes it a step beyond it’s purpose and makes them a part of everyday pretties for the home! Clean play sand is an awesome suggestion Pagan.